The victory this week in the constitutional court by former communications minister Faith Muthambi over e.tv may not mark the end of the long-running dispute over encryption in South Africa’s digital television migration programme, but it should finally allow government to move ahead with the long-delayed project. The country’s highest court ruled on Thursday Muthambi acted lawfully when she amended the broadcasting digital migration policy developed by her predecessor, Yunus Carrim, dealing a blow to e.tv, which had contended that encryption was crucial in ensuring the future success of the free-to-air broadcasting sector. The judgment is a victory for MultiChoice and the SABC, which were both party to Muthambi’s appeal against an earlier judgment in e.tv’s favour at the supreme court of appeal in Bloemfontein. But it may be premature for MultiChoice, which owns M-Net and DStv, and the SABC to celebrate the judgment. Ayanda Dlodlo, appointed by President Jacob Zuma in a cabinet reshuffle in late March, told parliament last month that she intended to reverse Muthambi’s 2015 reversal of Carrim’s policy on encryption. 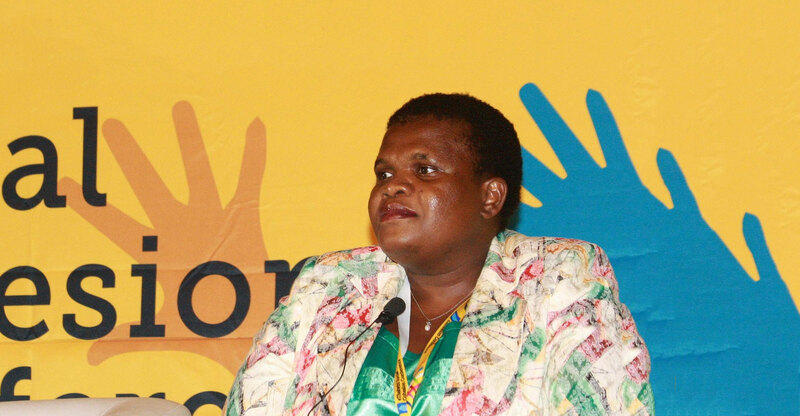 This would bring it in line with official ANC policy on the matter, which Muthambi had thumbed her nose at, much to the chagrin of the party’s chief whip, Jackson Mthembu, South African Communist Party general secretary Blade Nzimande, and others. Dlodlo said little in the wake of this week’s judgment. In a statement, she said only that she had “noted” the ruling and was “pleased” that the department of communications could now proceed with the implementation of the digital migration programme, “bringing South Africa a step closer to meeting the December 2018 switch-off deadline”. That new deadline is the third set by government. It failed to meet the first one, of December 2011, set by former communications minister Ivy Matsepe-Casaburri, who kick-started the migration process in 2001, and the second one, of June 2015, agreed to with the International Telecommunication Union, an agency of the United Nations. Mobile operators, which are desperate for access to the “digital dividend” spectrum bands being used by broadcasters for analogue transmissions, will be hoping government doesn’t miss the new deadline, too. The operators are actively “refarming”, or reallocating, 2G and 3G spectrum to accommodate their 4G networks, but are fast running out of the ability to cope without incurring the high cost of densifying their networks. None has been allocated spectrum specifically for building 4G infrastructure. Andrew Fraser, an independent marketing consultant and an expert on South Africa’s migration project, said it was unlikely that government would complete the migration project much before 2020. He said that Dlodlo must now ensure that there is policy certainty, especially on the issue of encryption. Attention will now turn to parliament on 20 June, when Dlodlo and officials from her department are expected to provide an update to a joint sitting of the portfolio committees on communications and telecommunications & postal services on the digital migration project. It’s anticipated that Dlodlo will use the opportunity to set out her intentions with the broadcasting digital migration policy and how she intends taking the process forward. The Democratic Alliance has called on the minister to begin a thorough review of the entire project. “The procurement of government-subsidised decoders for identified indigent households is mired in irregularities, is unaffordable and the technology has moved on,” DA MP Marian Shinn said on Thursday. Shinn, who is the party’s spokeswoman on telecoms & postal services, warned that government’s programme to build set-top boxes in South Africa, created in an effort to kick-start a local electronics manufacturing industry, was mired in “irregularities”. Moreover, the programme had proved to be “unaffordable” and the technology had “moved on”. “This must be government’s priority project so the airwaves can be released for desperately needed mobile broadband services that can contribute to economic growth, job creation and deliver services and opportunities to South Africans,” she said. Best to let BDM be what its always been about and license spectrum to the telcos; the broadcasters and particularly the one broadcaster that ought to shoulder full responsibility for the recent delay – have all definitely earned themselves an unsympathetic hard switch-off of analogue signals. Luckily for them, there isn’t anyone who will be doing the right thing and ordering the switch-off within 48hours. Exactly, stop that whole ridiculous 6m STBs freebies program. Let the broadcasters decide for themselves if they want their signal encrypted or not. The FTA channels can then be received on any DVB-T2 receiver, or on a modern TV with a built in DVB-T2 tuner. eTV can just market their own STB with encryption, just like they did with their OVHD DVB-S2 decoder for satellite reception. And stop the import duties on imported DVB-T2 receivers, just VAT like all electronics. You wish electronics just had VAT. There are only a few categories of electronics that are duty free. OK, might very well be. Not in favour of all these import duties, just like the ridiculous 25% import duties on fully built up cars. It makes budget cars like Ford Figo and the Datsun Go, both manufactured in India far more unaffordable. All part of the crazy APDP, that subsidises local factories that produce for the largest part for the export, and slams heavy duties on imported cars and parts. When local factories and labour cannot produce competitively, they must perish. Nonsense, the CEO of USAASA, the agency that deals with the free 6m STBs for the poor households, Zami Nkosi declared one or two years ago that they will not be very strict when handing out the freebies with demanding for a paid up TV license. Well, you’re wrong in both cases. 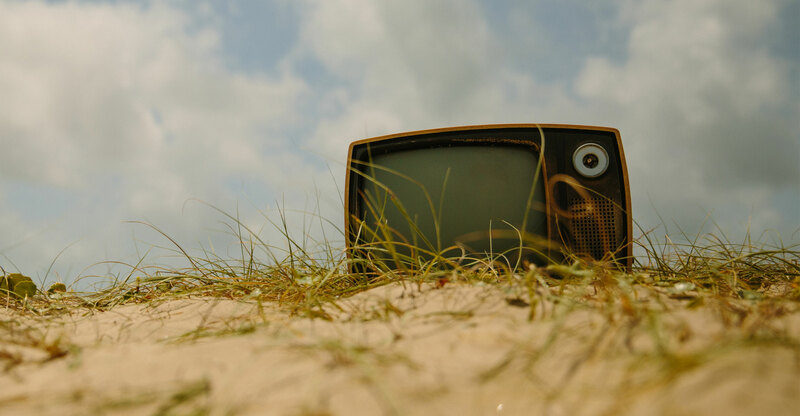 It has been stated, in multiple fora, that encryption will not be used to police TV licences. This is not least because government (and more particularly, the ANC) can’t afford to cut off much of its audience. Also, in theory, if you have a screen and a tuner (be it in a television, in a PC and monitor, or in a decoder and monitor) you’re liable for a TV licence.